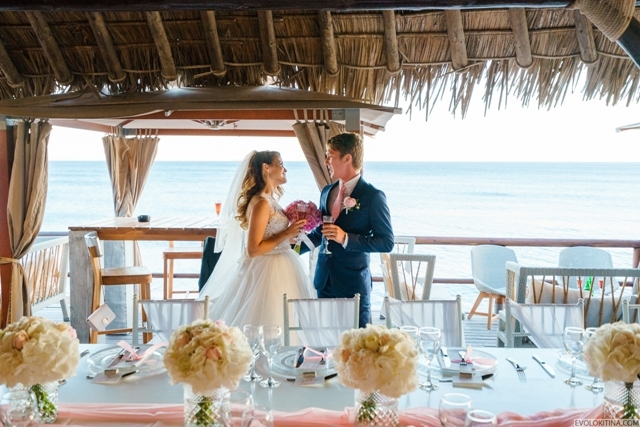 Bernice and Stephan just wonderful couple who come from exotic place, Seychelles! 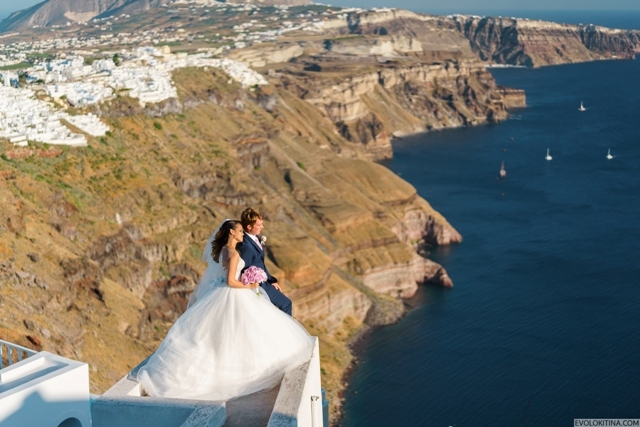 They decided to left they paradise home place to get marry at one of the most romantic Greek island, Santorini! 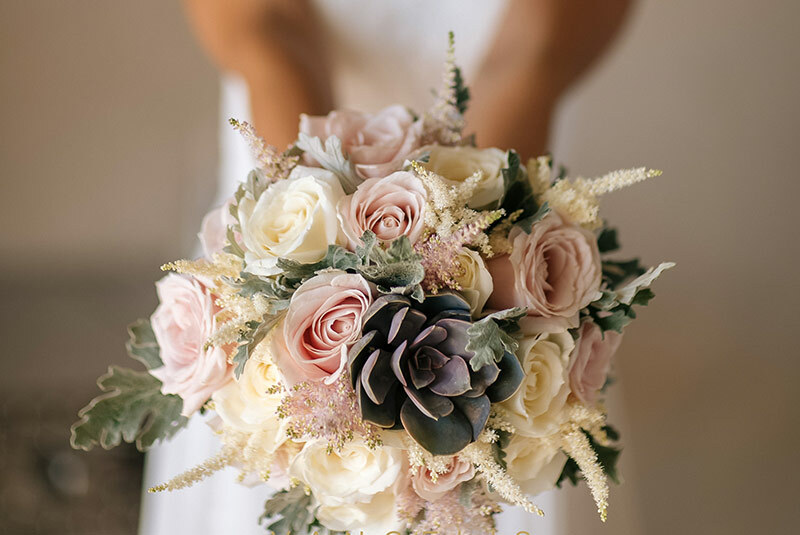 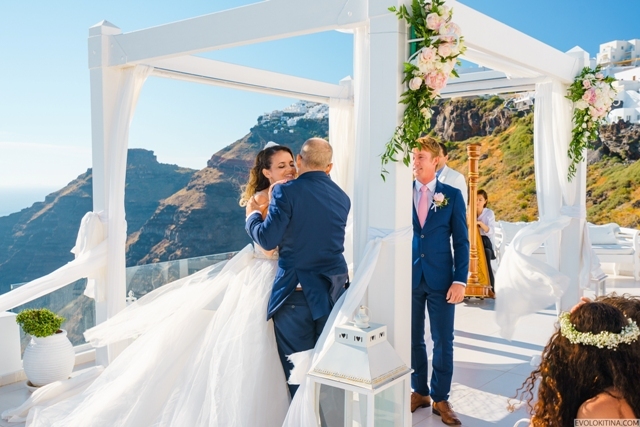 Their Wedding Ceremony was in May, it is one of the best months to celebrate your love, even the wind everything was amazing. 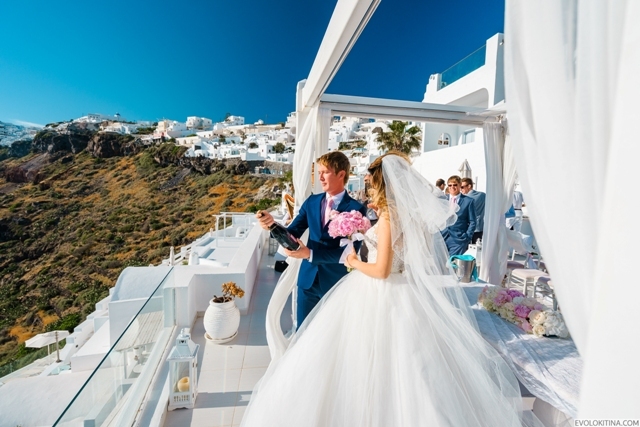 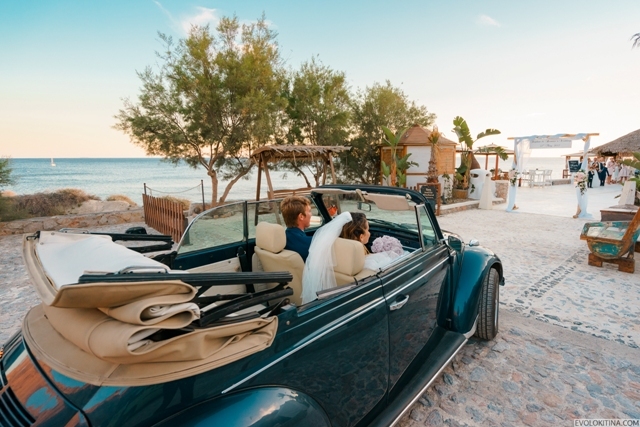 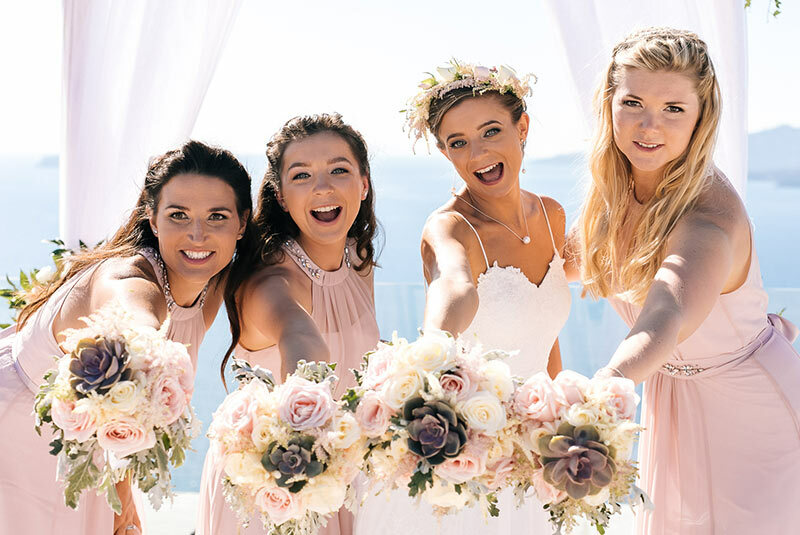 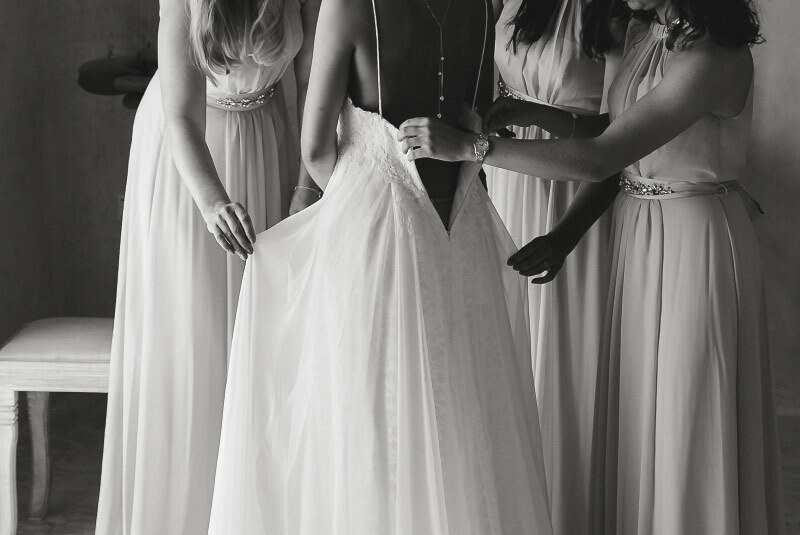 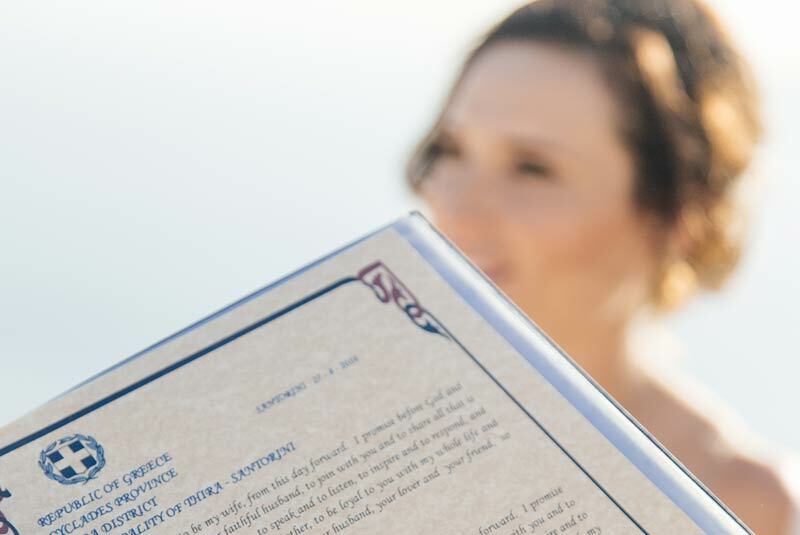 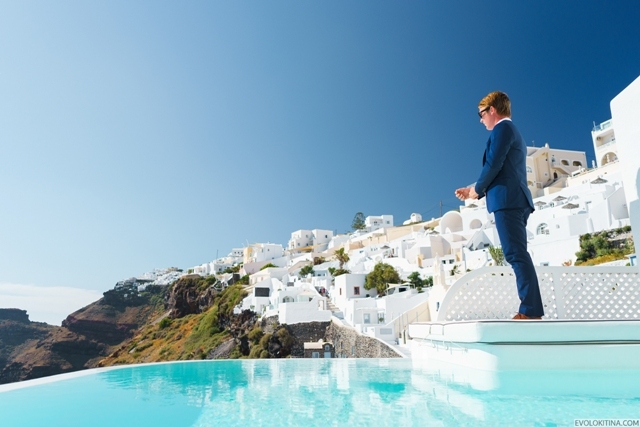 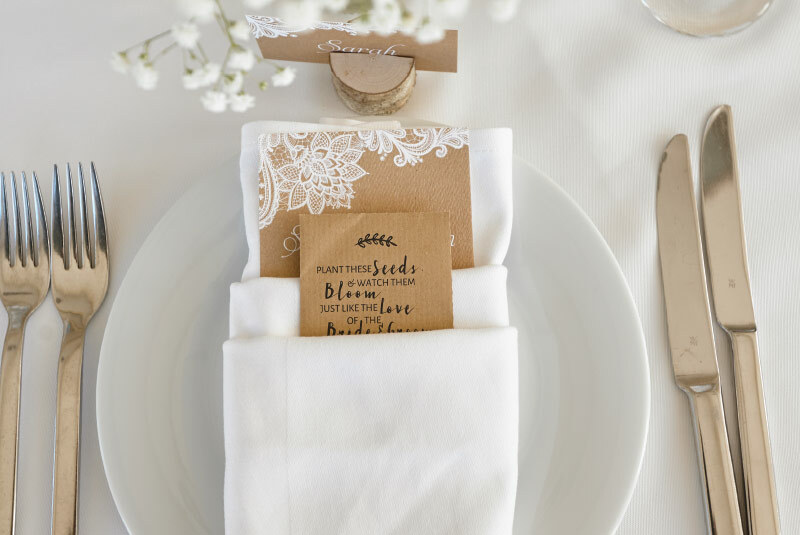 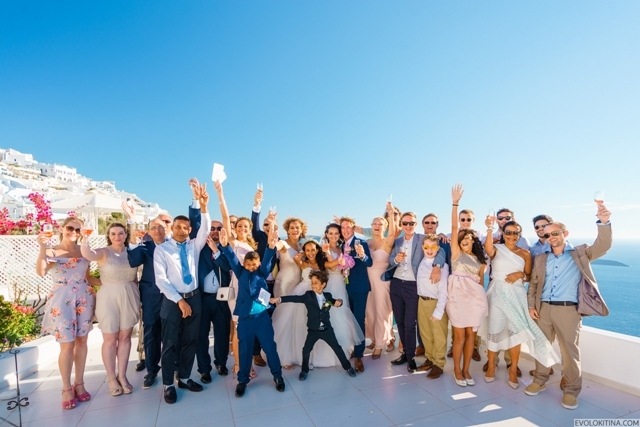 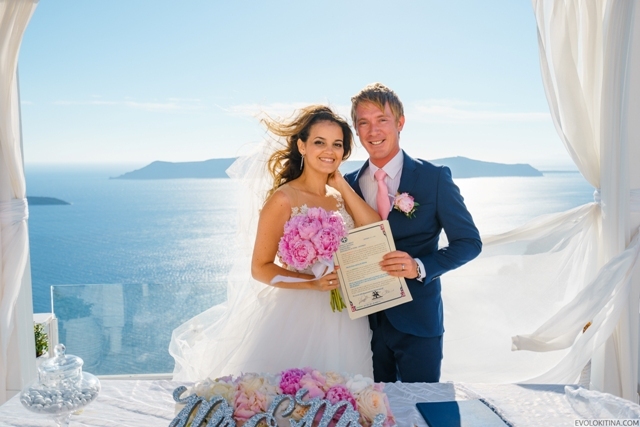 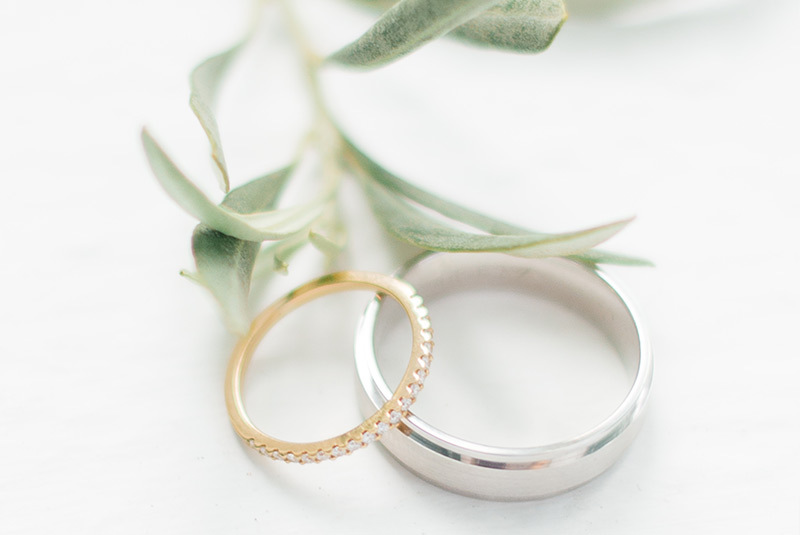 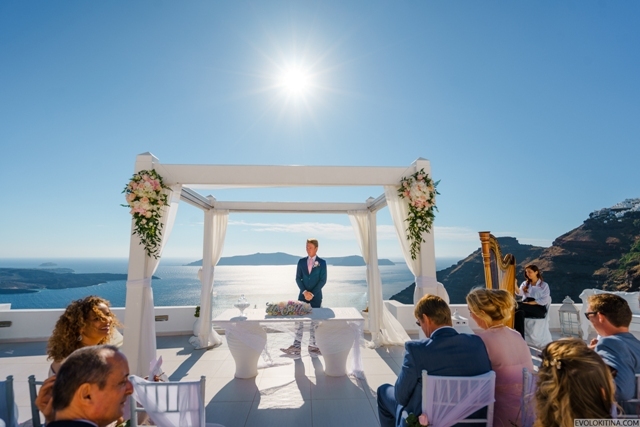 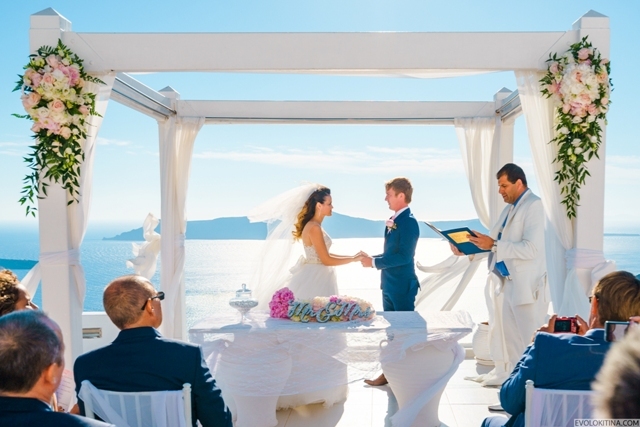 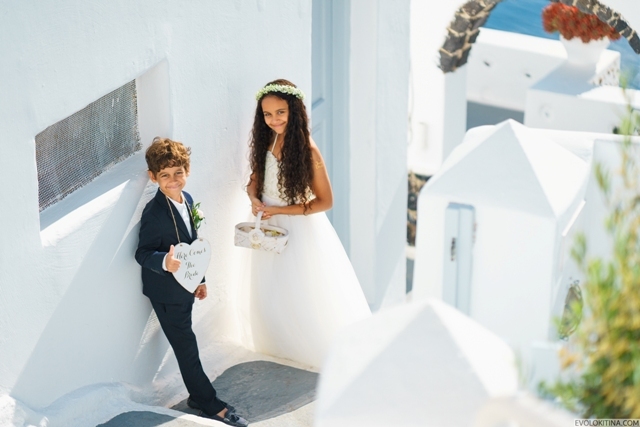 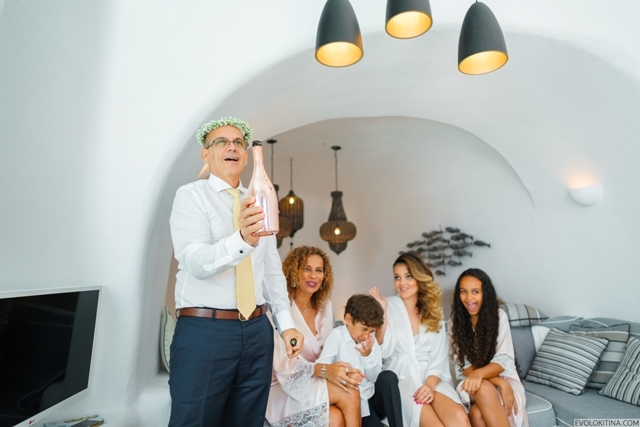 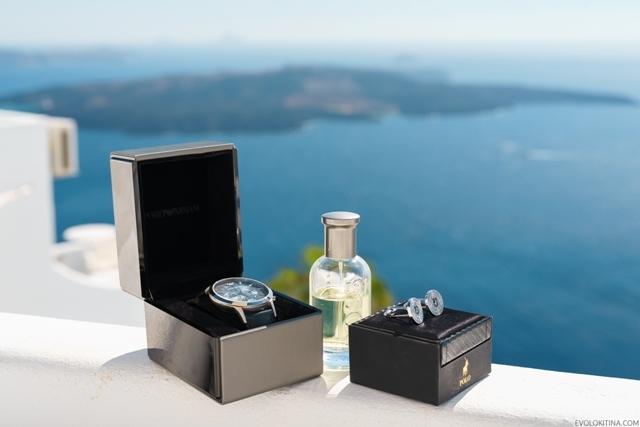 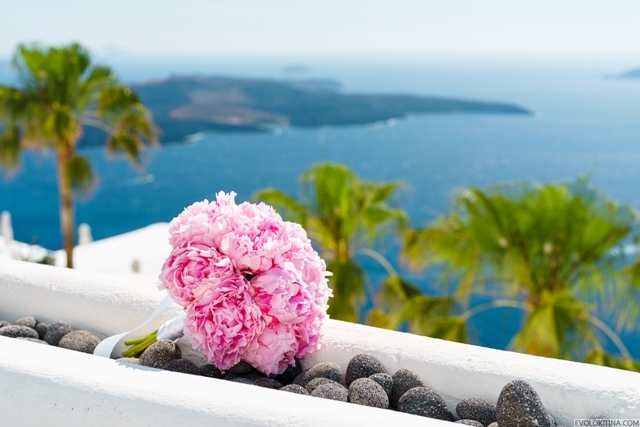 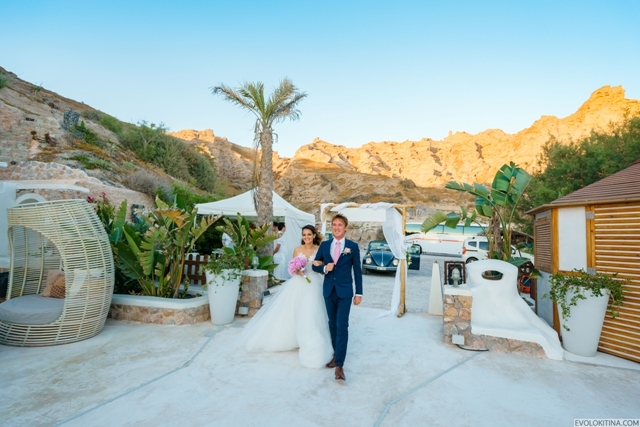 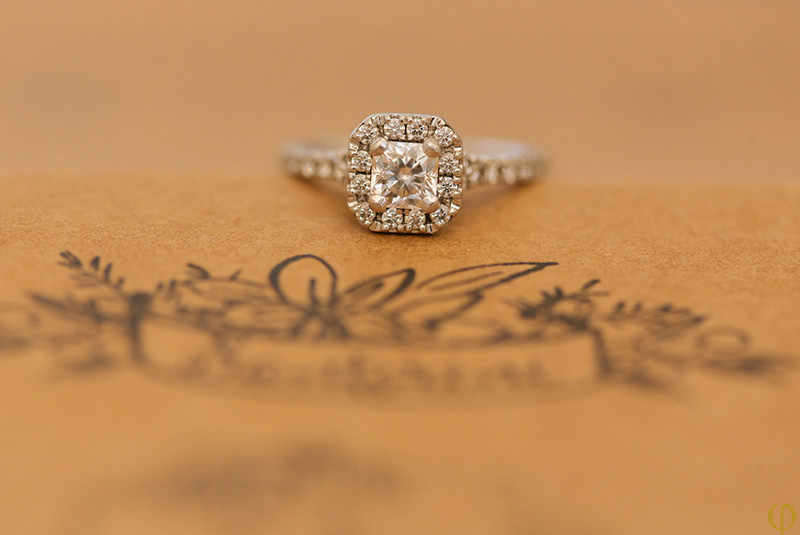 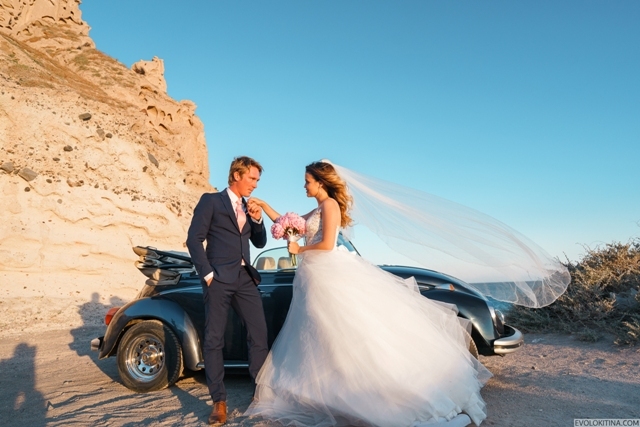 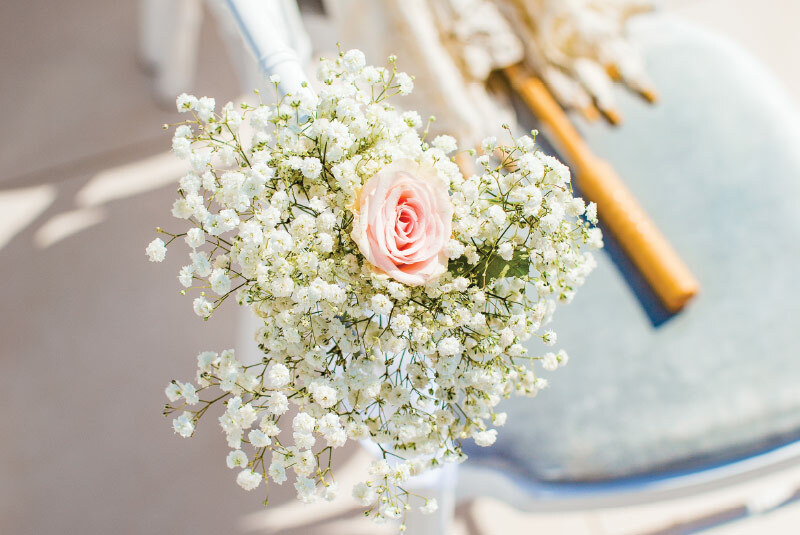 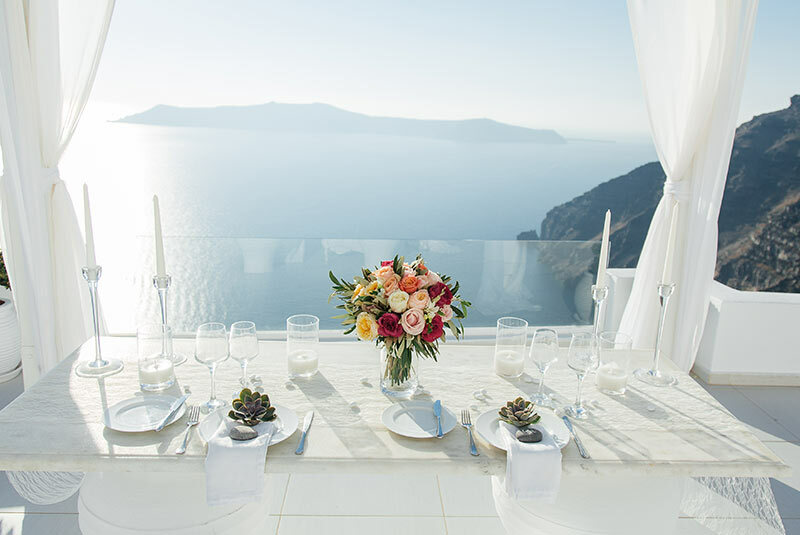 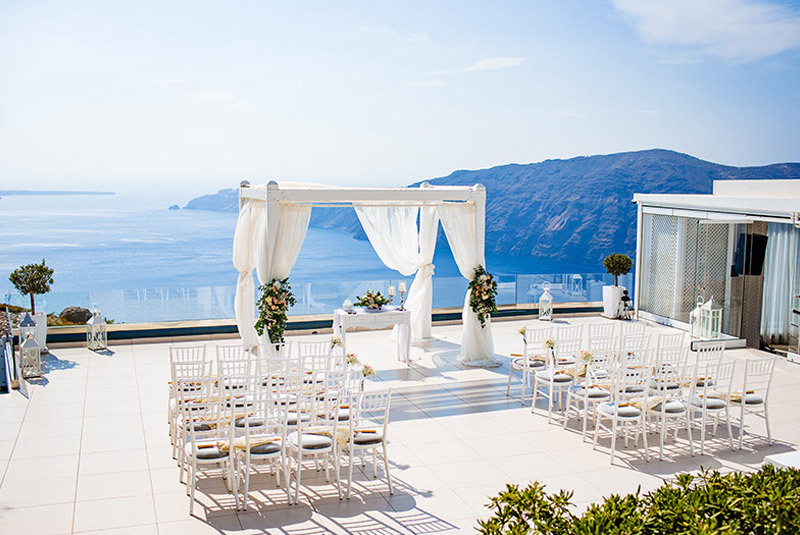 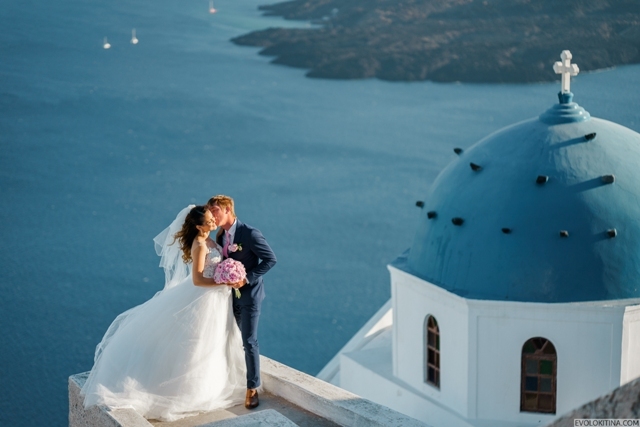 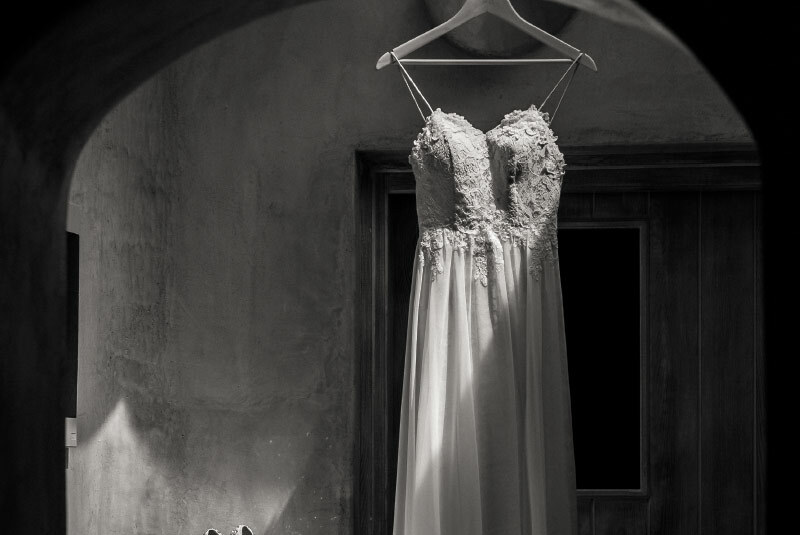 Ceremony took place at Dana Villas, it is one of the most famous venues in Santorini and has just stunning caldera view. 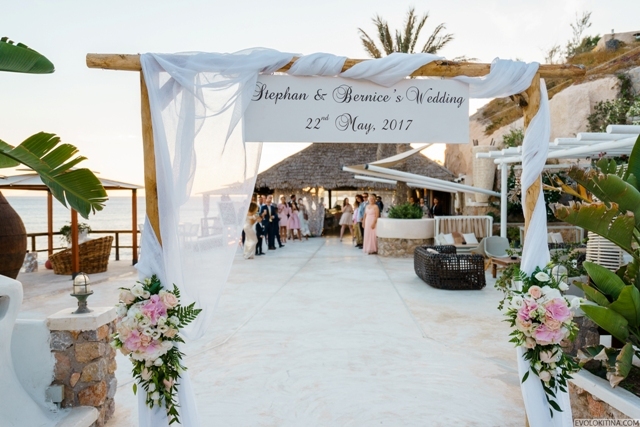 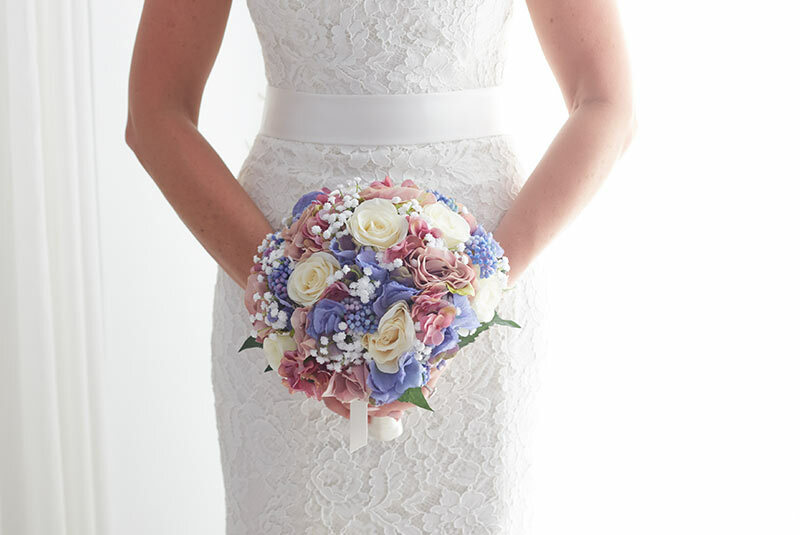 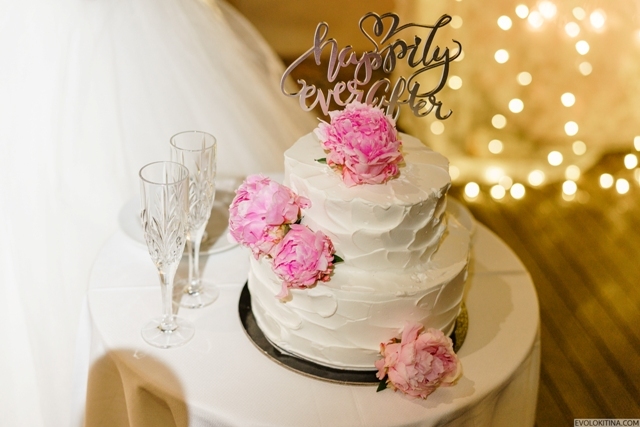 White gazebo was decorated with flowers in white and pale pink touches and Santorini blue behind gave an elegant icon to a whole wedding. 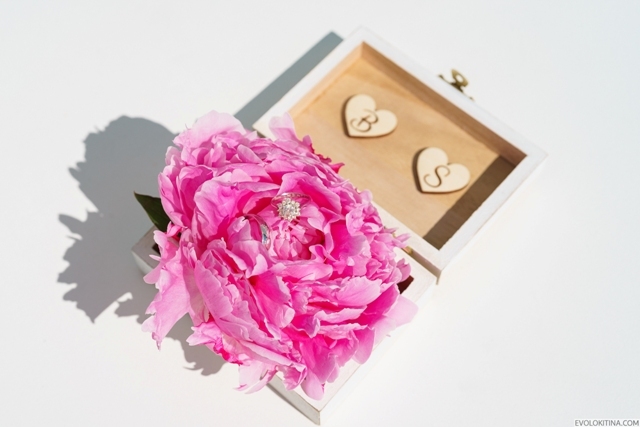 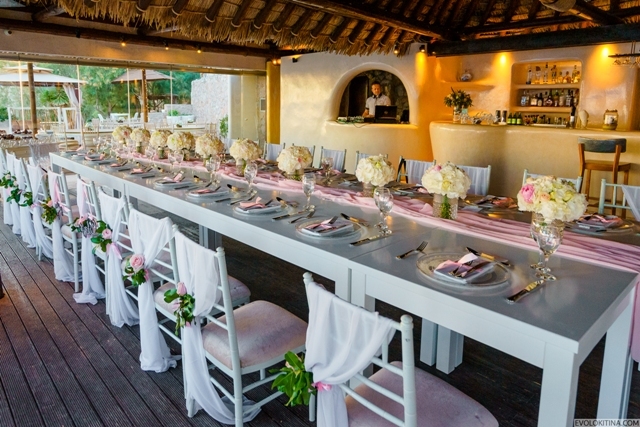 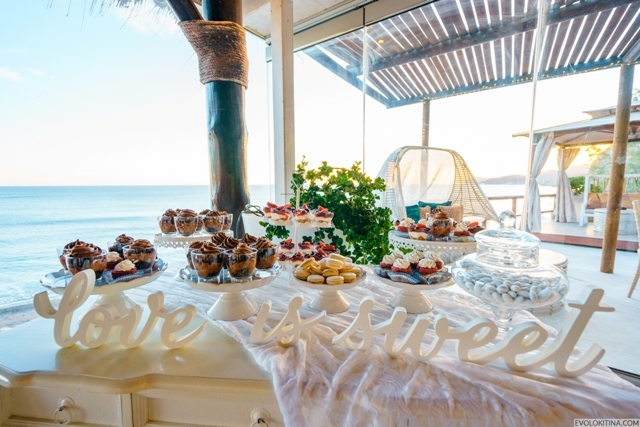 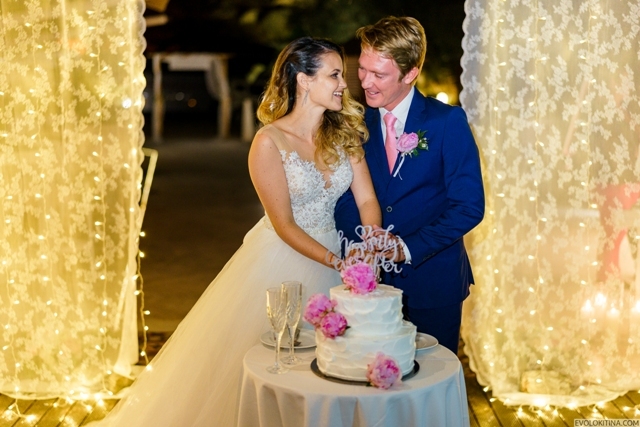 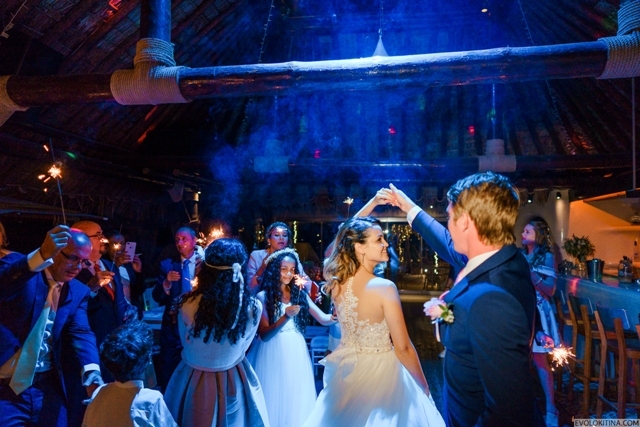 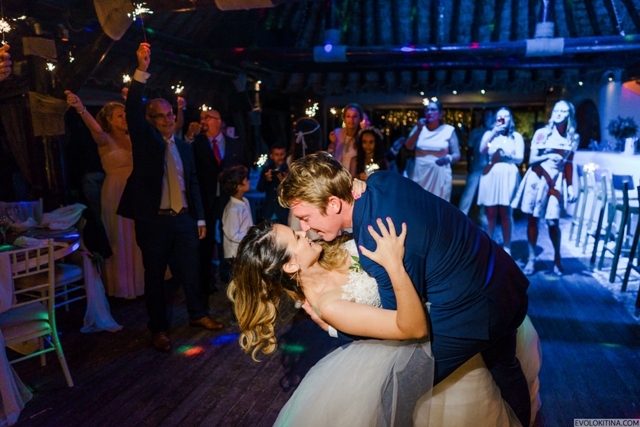 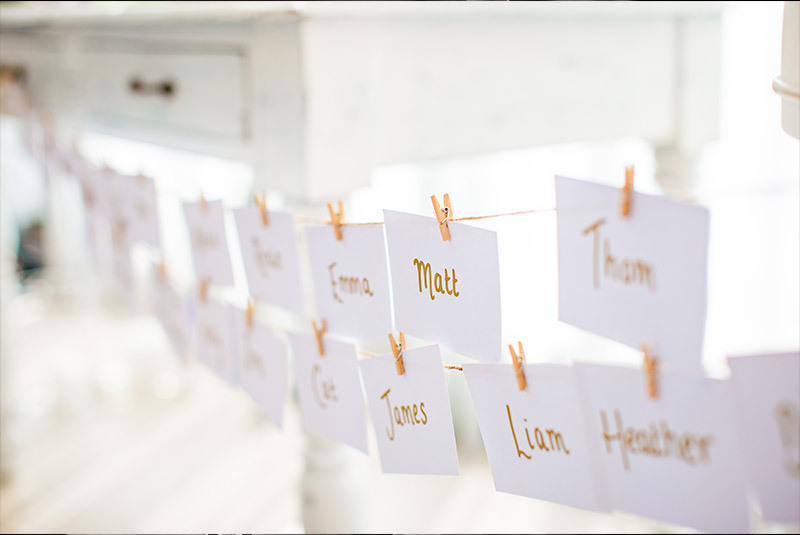 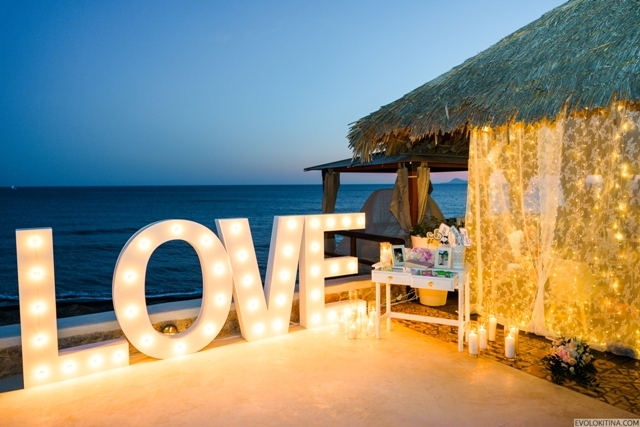 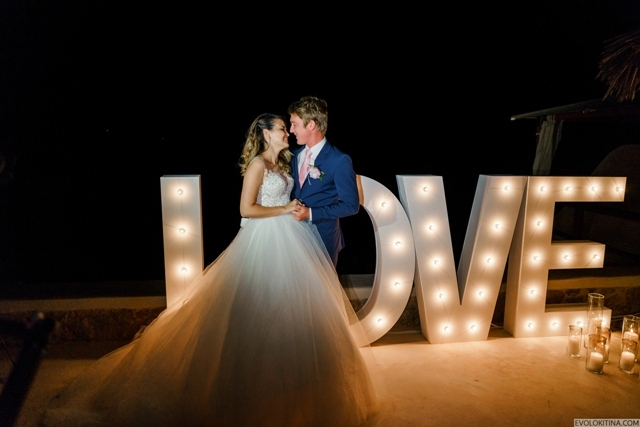 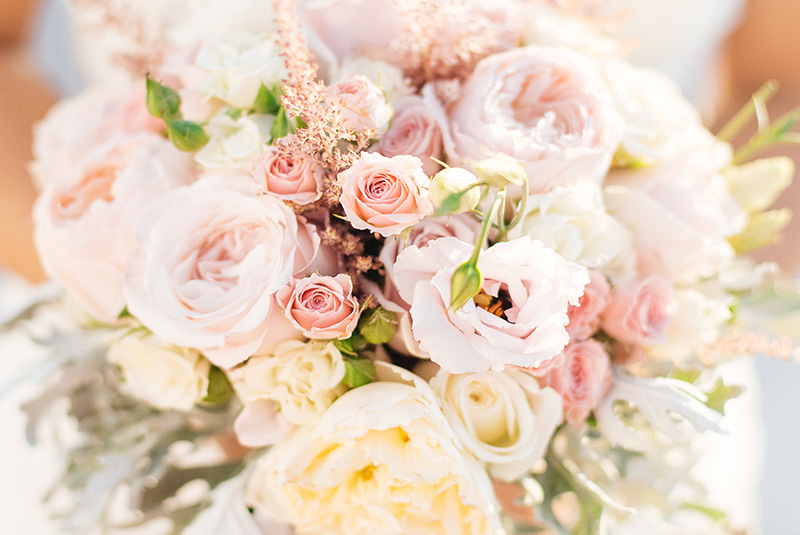 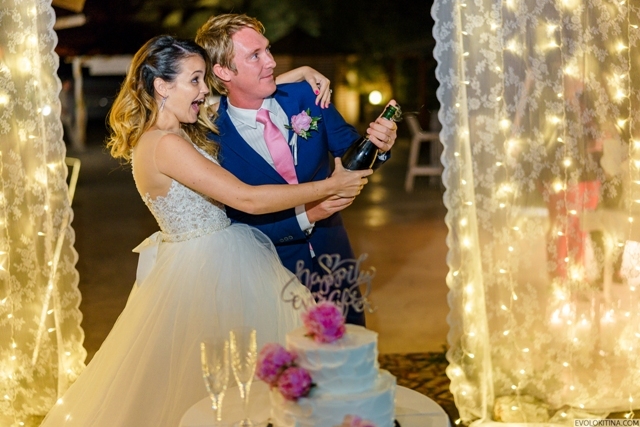 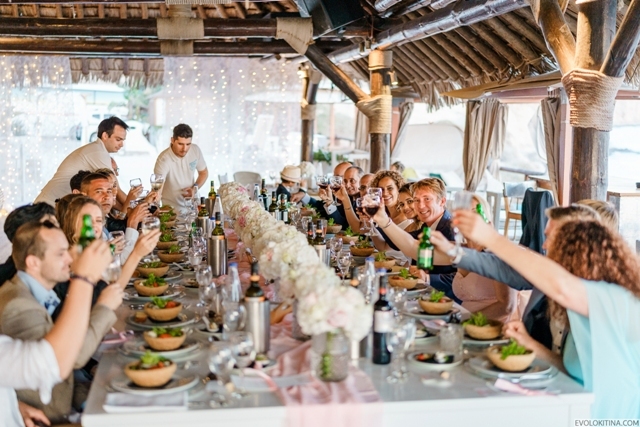 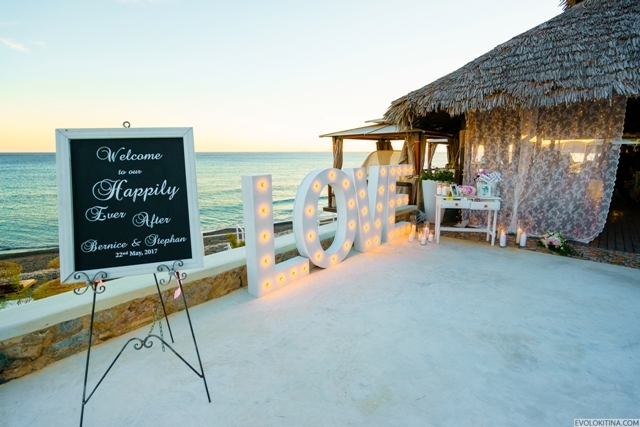 Reception took place at a private Vlychada beach, where place filled with lights, candles and flowers. 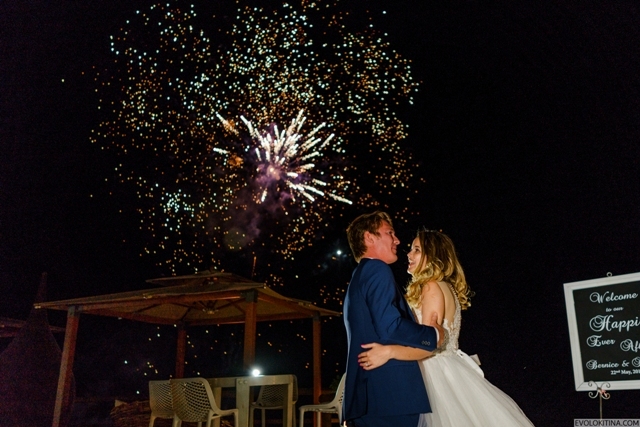 The night finished by a spectacular firework display among the stars and of course a lot of dancing!